Early Islamic law placed importance on formulating standards of argument, which gave rise to a "novel approach to logic" (منطق manṭiq "speech, eloquence") in Kalam (Islamic scholasticism) However, with the rise of the Mu'tazili philosophers, who highly valued Aristotle's Organon, this approach was displaced by the older ideas from Hellenistic philosophy, The works of al-Farabi, Avicenna, al-Ghazali and other Persian Muslim logicians who often criticized and corrected Aristotelian logic and introduced their own forms of logic, also played a central role in the subsequent development of European logic during the Renaissance. The use of Aristotelian logic in Islamic theology again began to decline from the 10th century, with the rise of Ashʿari theology to the intellectual mainstream, which rejects causal reasoning in favour of clerical authority. For the Islamic philosophers, logic included not only the study of formal patterns of inference and their validity but also elements of the philosophy of language and even of epistemology and metaphysics. Because of territorial disputes with the Arabic grammarians, Islamic philosophers were very interested in working out the relationship between logic and language, and they devoted much discussion to the question of the subject matter and aims of logic in relation to reasoning and speech. In the area of formal logical analysis, they elaborated upon the theory of terms, propositions and syllogisms as formulated in Aristotle's Categories, De interpretatione and Prior Analytics. In the spirit of Aristotle, they considered the syllogism to be the form to which all rational argumentation could be reduced, and they regarded syllogistic theory as the focal point of logic. Even poetics was considered as a syllogistic art in some fashion by most of the major Islamic Aristotelians. The first criticisms of Aristotelian logic were written by Avicenna, who produced independent treatises on logic rather than commentaries. He criticized the logical school of Baghdad for their devotion to Aristotle at the time. He investigated the theory of definition and classification and the quantification of the predicates of categorical propositions, and developed an original theory on "temporal modal" syllogism. Its premises included modifiers such as "at all times", "at most times", and "at some time". While Avicenna often relied on deductive reasoning in philosophy, he used a different approach in medicine. Ibn Sina contributed inventively to the development of inductive logic, which he used to pioneer the idea of a syndrome. In his medical writings, Avicenna was the first to describe the methods of agreement, difference and concomitant variation which are critical to inductive logic and the scientific method. Ibn Hazm (994-1064) wrote the Scope of Logic, in which he stressed on the importance of sense perception as a source of knowledge. 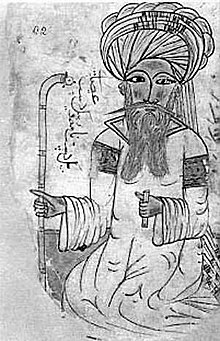 Al-Ghazali (Algazel) (1058–1111) had an important influence on the use of logic in theology, making use of Avicennian logic in Kalam. Despite the logical sophistication of al-Ghazali, the rise of the Ash'ari school from the 12th century slowly suffocated original work on logic in much of the Islamic world, though logic continued to be studied in some Islamic regions such as Persia and the Levant. ^ a b History of logic: Arabic logic, Encyclopædia Britannica. ^ a b Science and Muslim Scientists, Islam Herald. Rescher, Nicholas 1964. Studies in the History of Arabic Logic, Pittsburgh: University of Pittsburgh Press. Rescher, Nicholas (1966). Temporal Modalities in Arabic Logic. Dordrecht: Reidel. Street, Tony 2004. Arabic Logic. in: Gabbay, Dov & Woods, John (eds. ),Greek, Indian and Arabic Logic, Volume I of the Handbook of the History of Logic, Amsterdam: Elsevier, pp. 523–596. "Avicenna (Ibn Sina): Logic". Internet Encyclopedia of Philosophy. Ancient Islamic (Arabic and Persian) Logic and Ontology, at Raul Corazzon's Theory and History of Ontology.